Laura Amick Gadness received her Juris Doctor from Texas Wesleyan University School of Law in 2006. Laura is a strong advocate for her clients. She assists clients through the Social Security Disability appeals processes, and has represented numerous clients at administrative law hearings. Laura has attended numerous continuing legal education courses on Social Security Disability advocacy. In addition, her experience includes advocating for clients in divorce and family law issues, as well as representing clients in meditations and settlement negotiations. Laura is the current Vice President of the Dallas Area Social Security Claimants Attorneys (DASSCA), a former President of DASSCA, a participating member of the Texas Bar Association, the Plano Bar Association, the Collin County Bar Association, and a sustaining member of the National Organization of Social Security Claimants Representatives (NOSSCR). 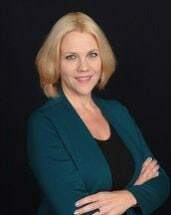 Laura currently serves on the Board of Directors for two local non-profit organizations, My Possibilities and the Healthcare Committee of Collin County. Laura also founded, as well as regularly serves on a Legal Assistance and Referral Clinic for Collin County’s only homeless shelter. Laura received a Bachelor of Arts in Biology from Texas State University in 2003. While attending Texas State University, Laura served as Vice President and President of Women in Science and Engineering. While in law school, Laura served as President and Treasurer of her fraternity, Delta Theta Phi Spurlock Armstrong Senate. While in law school, Laura volunteered as an Intern at the Denton County District Attorney's office. Laura also worked as a law clerk in the areas of Divorce, Family Law and Social Security Disability. In addition to her career, Laura enjoys spending time outdoors with her daughter, husband, and their three rescue dogs. Laura is a highly driven advocate who is often praised by clients for the caring and individual attention that she provides.